If you want to procure World Cup tickets, make sure you have funds available within the next ten days. ICC World Cup 2019, cricket's biggest spectacle, will be played between the 30th of May and 14th of July 2019. The World Cup will involve the eight teams that topped ICC's ODI rankings on 30th September 2017 - India, England, Australia, Pakistan, South Africa, New Zealand, Bangladesh and Sri Lanka; and the finalists of this year's World Cup qualifiers - West Indies and Afghanistan. 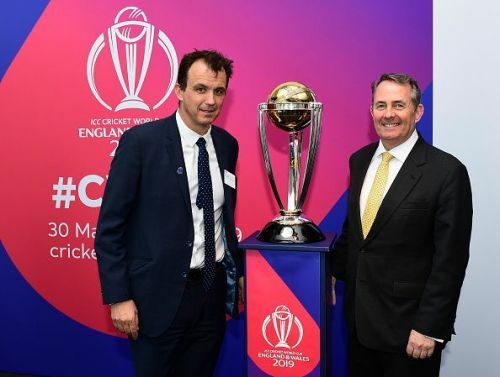 If you are planning to visit the United Kingdom in the coming summer, the cricket World Cup is one event you just cannot miss. The method of online payment includes credit and debit cards, and most international cards would work. The group stage involves all the ten teams playing each other in the course of 45 matches, and some great duels, such as India vs Pakistan, Australia vs New Zealand, South Africa vs England, and India vs England, to name a few. The World Cup tickets were made available via a family ballot in June, exclusive to the ICC website's loyal followers. This was followed by a public ballot in August, the results for which were announced two days ago. ICC will now make all the remaining tickets available from 10 AM BST (British Standard Time) on 27th September 2019. Tickets for all matches will be available but will be available on a first come, first served basis. Going by past experience, there is a high probability that all the online tickets would be sold in the first few hours. All the interested fans must register on the ICC website before the start of the ticket sale. The World Cup section can be easily located on the website. Just visit ICC's official website, and go to ICC Events on the menu bar. Under the drop-down box, click on ICC Cricket World Cup. Once redirected, go to the ticketing section. Fans can also find out the ticket prices of all the matches before the start of the sale, a list of which can be seen in this section of the website. Prices of the tickets for the group matches begin from £30, and go up to hundreds of British Pounds. This is a great opportunity for fans, as all the ten teams will play each other in the group stage. For the official list of prices, click on 'ticketing info' under the 'Cricket World Cup' section of the ICC website. Scroll down to the page to find the 'Frequently Asked Questions' and click on it. On the redirected URL (which will be opened in a new tab), click on Tickets. Click on 'See all questions' and scroll down to the bottom of the page. Click on 'How much will a Ticket for the Tournament cost?' Click on 'Match-by-Match prices are outlined in the table located here'. (1) Create an account on the ICC Website before 27th of September. (2) Log in to your account on the ICC website around 9:50 am BST on the 27th. Manage your timing according to the difference between your local time and British Standard Time. (3) Buy the tickets as soon as you get your turn. (4) Spare some time in checking the ticket prices, planning out the match(es) you want to attend and the number of tickets you want. (5) Also make sure you have a reliable internet connection, appropriate funds in your bank account and a functional card. This would be the last chance to buy ICC Cricket World Cup 2019 tickets online.